Can they manage? How long can a cat go without food! This also becomes a serious concern especially if your kitty suddenly refuses to eat. Household pets are treated as a part of our family, so we always see to it that they’re adequately fed. It's only natural to worry when your cat suddenly stops eating. However, one thing is for certain; it is not healthy for any living creature to stop eating. Food is undoubtedly the most important among our basic necessities, and no one can live long without it. What will happen to a cat if it stops eating food? This can be very alarming and can be fatal if left untreated. For sure, there must be some reason why a kitty refuses to consume food. Finding the reason is the initial step in solving this issue. Moreover, of course, understanding how long can a cat go without food can help you determine the right time to seek medical assistance. So, how long can a cat go without food? Felines are not the most diligent drinkers, but they keep themselves hydrated through the moisture content of the food they eat. Meat mostly consists of muscles that are made of 75% water and 20% protein. The remaining 5% is made up of fats, minerals, and carbohydrates. With appropriate and sufficient meat-diet, felines can replenish their body fluids even without drinking water. If they stop eating, dehydration is the first thing that we need to worry about. Not consuming food and water can prove to be fatal. Without food and water, no one will be able to make it past a week. Moreover, felines are no exemption to this. However, if your kitty continues to drink water despite not consuming any food, it can survive for two weeks at the most. That is why it's important to get your furry friend to drink more water if it doesn't want to eat any food. As long as they will drink water, it should give you enough time to find out the reason behind the change in their eating behavior. However, if your feline pet refuses to drink water as well, then you must bring it to the vet right away. Not eating and drinking for more than three days can lead to serious health problems and even death. Water is essential, and our body needs it to function correctly. Without sufficient water intake, the internal organs are forced to steal water from other vital organs. Kidney and the digestive tract are usually the first organs to shut down when dehydration strikes. Apart from water, the body's vital organs also require nutrients and minerals from foods to function. Without these ‘fuels' that keep them going, these organs eventually fail and collapse. You don't need us to tell you how dangerous it is when all vital organs simultaneously stop working. How long can a cat go without food? It can survive for up to 2 weeks as long as it continues to drink water. However, that doesn't mean that you'll have to wait until two weeks before you decide to take your pet to the vet. If your pet's eating behavior doesn't revert to normal after 3 or 4 days, it's time to consult your veterinarian. How long can a cat go without food and water? In the case that your kitty refuses to eat food and drink water as well, this is the time to get worried really. 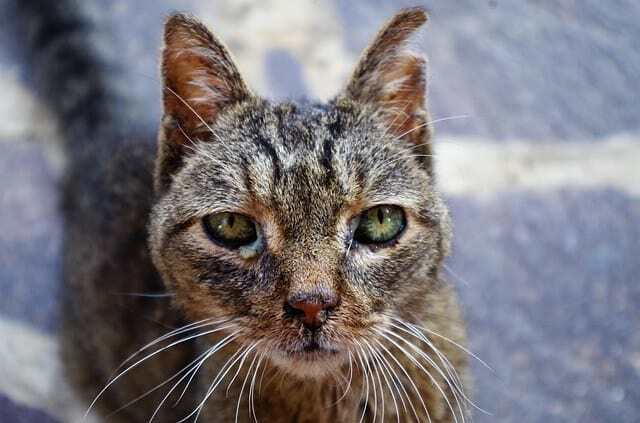 A cat may not be able to survive for 3 or 4 days without food and water. How To Make Your Cat Eat Food? 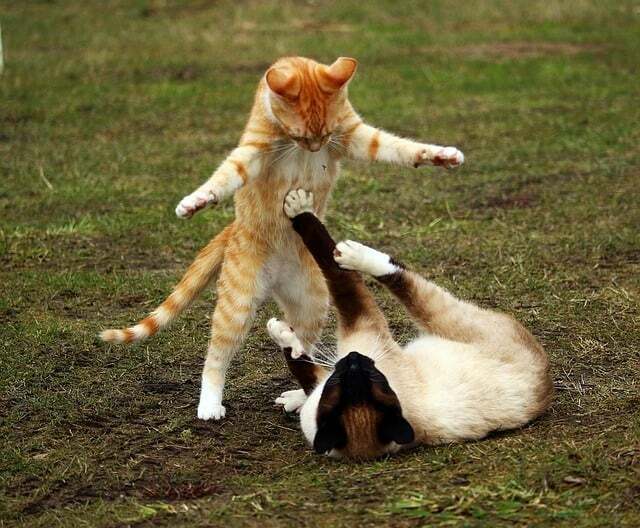 Felines are one of the most complex creatures on the planet, and there's no way to predict their behaviors accurately. Despite being creatures of habit that mainly thrive on routine, some of them will still manifest unusual behaviors and characteristics. When it comes to their eating behavior, several factors may influence their appetite. Their size and their level of activity, for example, significantly affect their level of hunger. Of course, active felines tend to have a bigger appetite to replenish all the energy they've used up. Moreover, larger kitties also tend to eat more to sustain their body size. 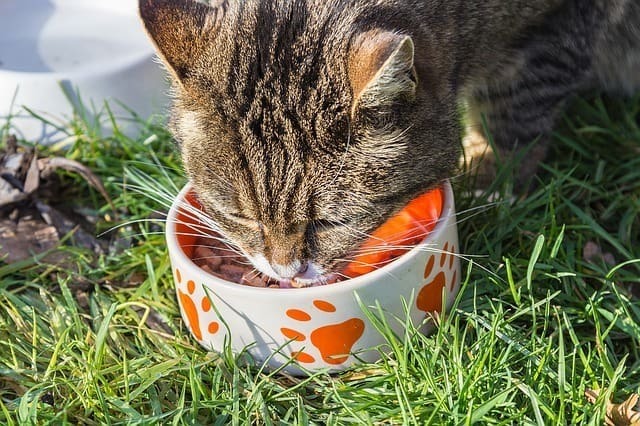 Cats may be meticulous when it comes to food, but there's no denying that they love to eat. So if you ever find your kitty losing its appetite, there must be some reason behind it. In many cases, dental issues can cause a kitty to stop eating. 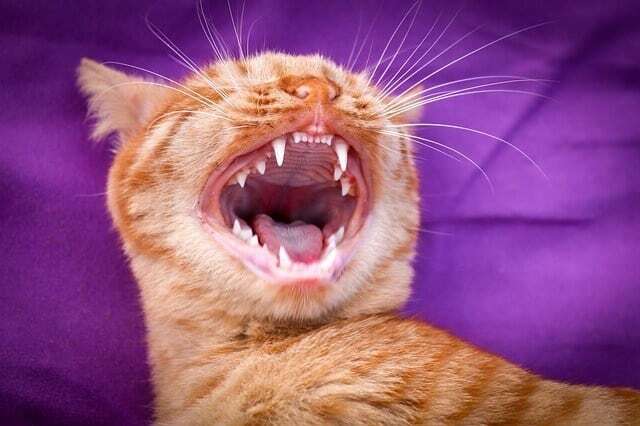 A toothache caused by gingivitis can be excruciating and can significantly reduce your pet's appetite. It can be difficult to tell if your feline friend is experiencing oral pain because felines are secretive by nature. One of the most visible signs is the sudden change in their appetite. This may come as a surprise, but you read it right. Humans are not the only creature who struggle with depression. Felines do, too. Cats can quickly react to their environments and are more perceptive than any other animals. So, it's not shocking to know that they also experience mood disorders and depression. Just like humans, a kitty usually tends to lose appetite and avoids the company of others when it is depressed. Despite being pure carnivores, our feline buddies can also get bored with their usual meal. If it turns away from its food bowl, you can try giving your pet new flavors to revive its appetite. Add some variations into its diet by putting in small portions of fruits and vegetables. You can also give some sweet treats if your furball craves for it. It's okay to feed them with foods other than meat once in a while. However, it would be best if you carefully chose the types of fruits and veggies that are safe for felines to eat. Furthermore, go easy on the sugar because too much of it can put your pet to the risk of diabetes. One of the initial symptoms of renal failure in cats is decreased appetite. Along with a loss of appetite, lethargy and excessive fatigue are also signs of potential kidney disease. 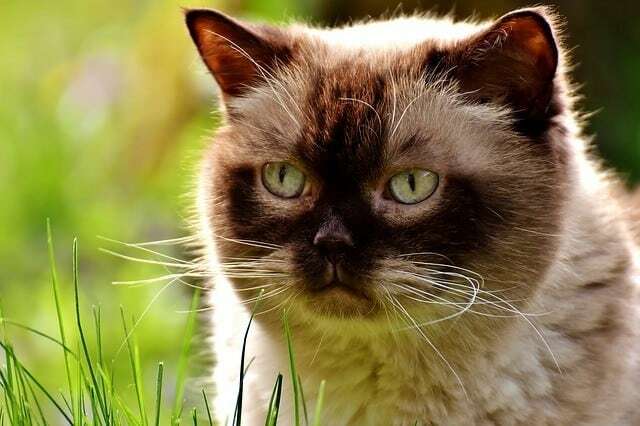 Also known as a feline fatty liver syndrome, this condition is one of the most common types of liver disease in cats. 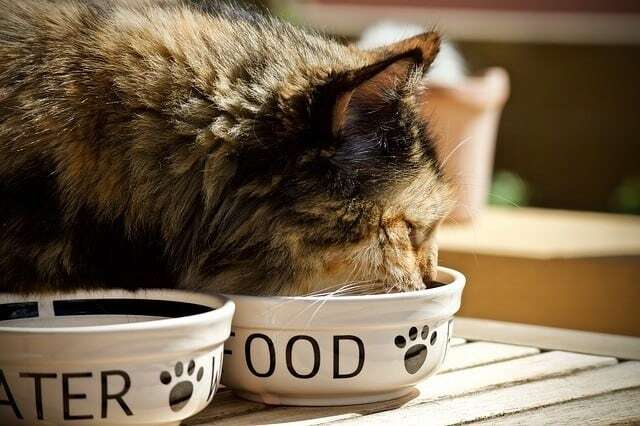 A feline’s metabolism requires the daily intake of food. So when a cat doesn’t eat for a few days, fat may be deposited in the liver cells. This is a response to the sudden change in the metabolic pattern. Hepatic lipidosis (HL) develops when there is an abnormally high accumulation of fats in the liver cells. Instead of performing its function, the liver is forced to convert the fat reserves into usable energy to sustain life. Since the feline liver is mainly not designed to metabolize fats, this condition can lead to liver dysfunction. Once HL is onset, the affected feline often refuses to eat anything, even its usual favorite food. One of the most pressing concerns that come with the loss of appetite is dehydration. Always keep in mind that a cat cannot survive longer than four days without water. Most felines obtain their water from their foods’ moisture content. If they stop eating foods and drink water as well, it could be detrimental to their health. Make sure that your feline pet drinks plenty of water to prevent dehydration. If it refuses to drink from its water bowl, try using water fountain to entice them into drinking. 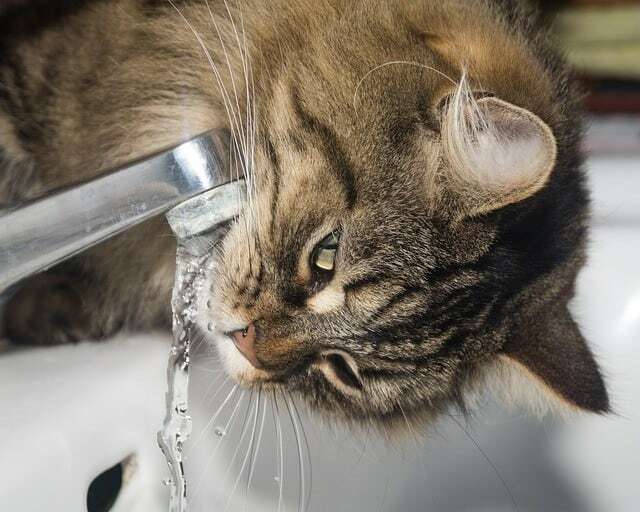 Cats with hepatic lipidosis tend to stop consuming water as well so not even the most attractive water fountain could convince them. You can rehydrate your kitty by using a medicine dropper or a syringe (needle removed) to dispense water into its mouth. As scary as it sounds, hepatic lipidosis (HL) can put your pet’s life in danger if not treated immediately. Since this disease in common in felines, HL is the first thing to come to mind when a kitty suddenly stops eating. Obese kitties or those that thrive on a high-fat diet are at higher risk of HL. When too much fat accumulates in the liver cells, HL has onset officially. Anorexia usually precedes the onset of HL resulting from their loss of appetite. Weight loss may be amplified by recurrent vomiting. At a later stage, the overworked liver eventually collapses manifested by jaundice, seizures, and coma. When it reaches a critical stage in which the body can no longer provide energy to the brain, the cat may die. We recommend bringing your pet to the vet at the first sign of suppressed appetite. Remember that loss of appetite usually occurs before the onset of HL. If treated early, you can prevent the occurrence of HL before it can take place. In the case that HL already develops, the condition is still reversible if immediate treatment is applied during the early stage. Since the kitty refuses to eat, the vet may insert a feeding tube into the pet’s esophagus. This way, the owner can feed liquid diet to the kitty through the tube. Aggressive feeding is necessary to stop the liver from converting fat. Once the liver regains its original condition, the cat will also regain its appetite and can be fed regularly. 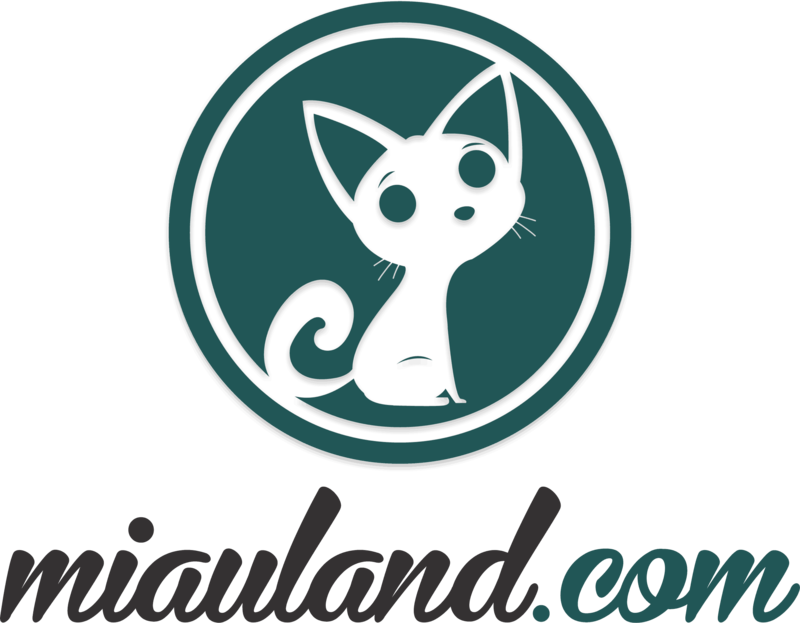 How long can a cat go without food if it has hepatic lipidosis? Take note that HL is a fast-progressive disease and it can quickly lead to malnutrition and even death. If your kitty refuses to consume any food for two days, you may want to take it to the vet for an accurate diagnosis. Remember, the disease can be fatal if left untreated for ten days. This condition may start when a kitty's eating pattern is suddenly altered. Skipping a single meal can take a toll on your pet's wellbeing. So make sure to feed your pet three times a day. Always be vigilant with existing signs of depression, dental problems and other factors that may influence your pet’s eating behavior. One of the most effective ways to combat depression in cats is to spend time with them. Depression usually develops when they’re always left on their own or when they’re introduced to a new environment. Play with your feline pet as much as possible. Sufficient playtime doesn't only ease depression, but it also stimulates physical exercise. Much like us, felines tend to eat more when they’re tired from physical activities. Additionally, stimulate your pet's taste buds by adding some new varieties to its regular diet. You can do this by alternating between dry and wet foods to provide different textures of food now and then. A regular check-up can significantly minimize the risk of HL or any types of disease associated with loss of appetite. Dental problems and kidney failures can be prevented and treated immediately, thus eliminating the incidence of HL. Frequent visits to the vet will ensure your kitty’s optimal health. While you’re there, it is also important to ask your vet regarding your pet’s proper diet. Orexigenic or appetite stimulants can be used in cats to rekindle their love for food. Ask your vet about the best types of orexigenic appropriate for felines and the proper way of administering it. Commercial cat foods come in many different flavors and ingredients. Introduce new flavors and variations to your feline pet to prevent it from getting bored with its food. Take note of your pet’s favorite food and flavors. If your kitty refuses new flavors, you can always go back to their usual favorites. Make sure that their food and water are always fresh. One of the reasons why they find their food unappetizing is the smell. They certainly know if their food is fresh just by sniffing it. Use automatic cat feeders to entice them to eat. If a water fountain lures a kitty into drinking running water, a cat feeder also attracts them into eating. How long can a cat go without food? 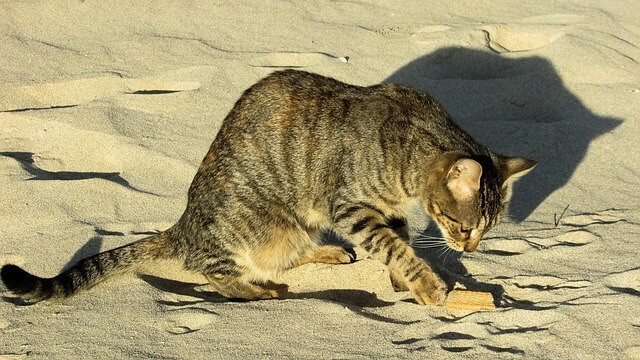 Felines can live up to 2 weeks without food, but this doesn't mean that they'll go off without consequence. Not eating for a few days can result in dehydration and hepatic lipidosis in cats. Moreover, if left untreated for the succeeding days, the condition can lead to anorexia, malnutrition, and death. Of course, we want to prevent this tragedy from happening. It is therefore essential to be informed with relevant information like how long can a cat go without food. More importantly, it is crucial to learn the things to do in case our pets suddenly stop eating. How long can a cat go without food and water? Not drinking water is much more severe than not eating food. Vital organs need water most especially, so without water intake for two days can be very detrimental to health. With that being said, we recommend that you monitor your pet's eating habit. If you notice even a slight deviation from their usual eating pattern, be more attentive for following symptoms. Don't hesitate to take your pet to the vet if it stops eating and drinking for two days. Early diagnosis can help you solve the issue right on target and prevent future occurrences of organ failure.